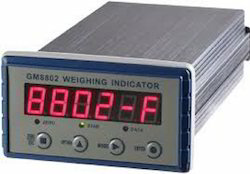 Leading Wholesale Trader of process indicator, digital indicator with rs 232 output, digital indicator with rs485 output, digital indicator with 4-20ma output, wireless digital indicator and 0 to10ma analogue output digital indicator from Ahmedabad. We have in store a remarkable gamut of Digital Indicators for our valued clients. Furthermore, products that we have come up with, have been procured from the accredited vendors of the industry, who are being acknowledged for their quality. 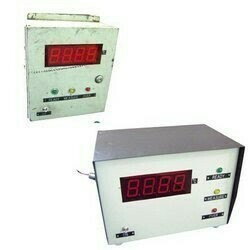 We have in store for our clients a wide range of Display & Indicators. It is extensively used in electronics and data communication. We design these devices using high grade raw material. Our range is precision engineered to meet international quality standards. By keeping track with the market development, we have come up with a high-performance range of RS 485 Digital Indicator. The digital indicator may be battery powered or mains powered using the standard power adaptor supplied. Facilitated by technically sophisticated procedure, we are offering a precision engineered collection of Digital Indicator 4-20mA. 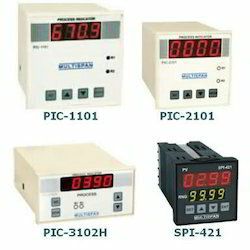 This is mainly used for maintain the output of a specific process within an estimated range. At our technically advanced production unit, this is manufactured by making use of quality approved materials with the help of pioneering technology. Moreover, these can be availed from us in distinct specifications at industry leading price. 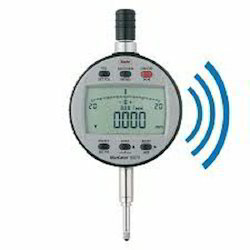 We are an acclaimed name engaged in offering our precious clients a superior quality range of WIRELESS DIGITAL INDICATOR . Our offered range is designed by our professionals using high-grade components and advanced technology in compliance with the international quality standards. In addition to this, our products undergo various tests under the supervision of quality controllers to ensure their flawlessness. Clients can avail these indicators from us at market leading rates.